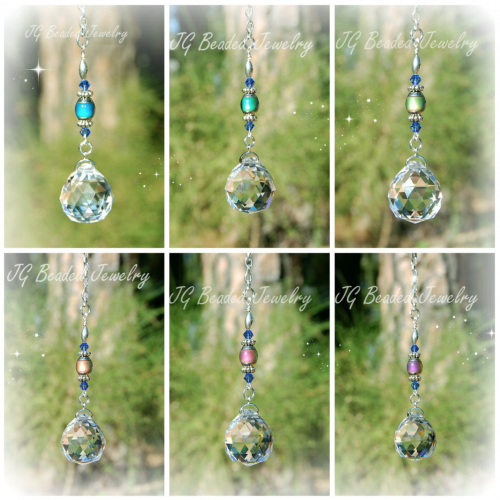 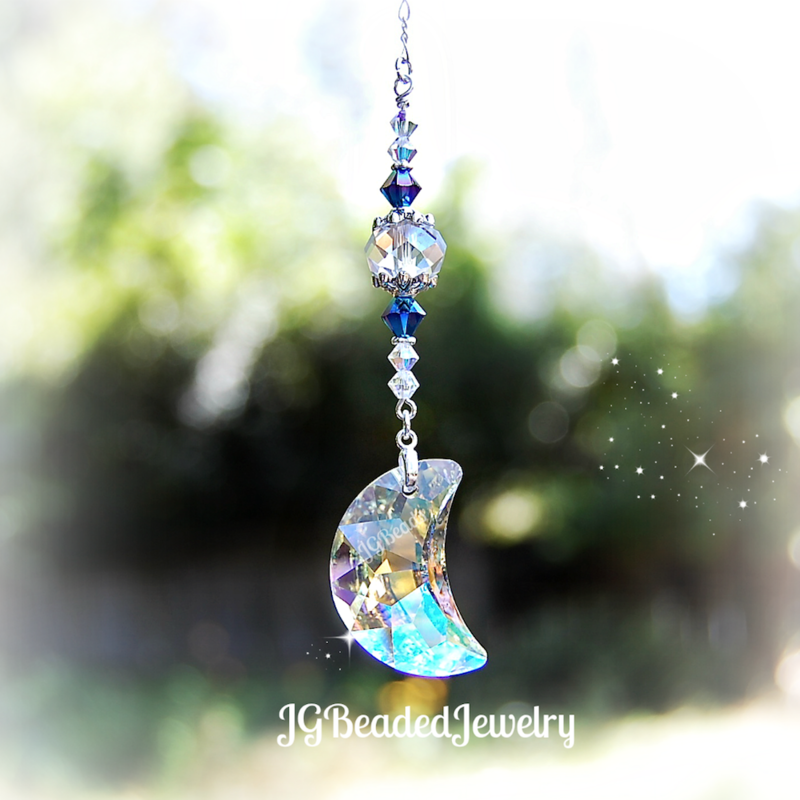 This hanging moon Swarovski crystal suncatcher can be hung from the rearview mirror, at home, in the nursery, in the office or wherever you wish! 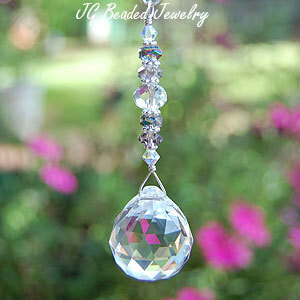 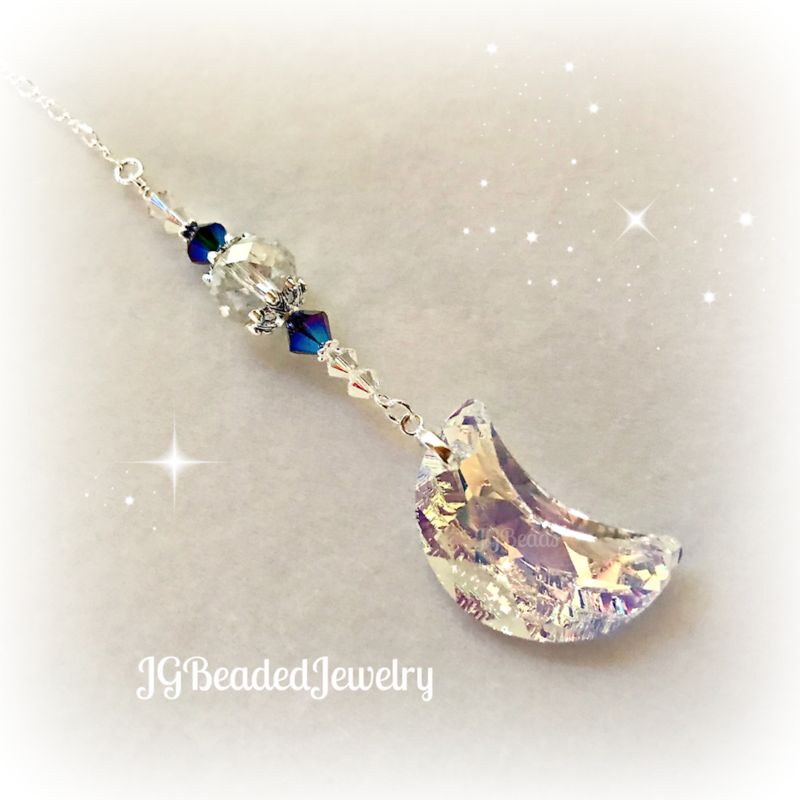 The beaded hanging moon crystal is uniquely designed with a 1.25 inch clear AB Swarovski crystal moon. 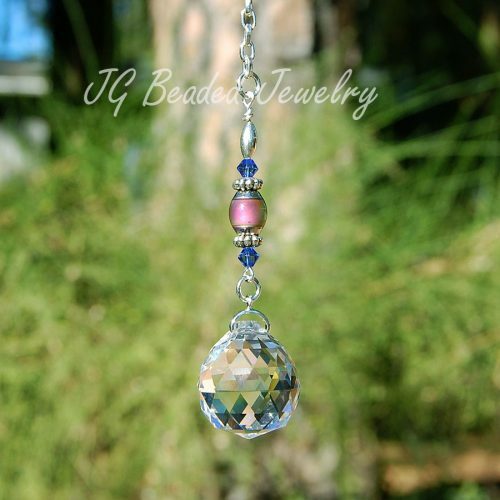 It is carefully wire wrapped by hand with fuchsia, peridot and vitrail Swarovski crystals along with fancy silver metal accent beads. 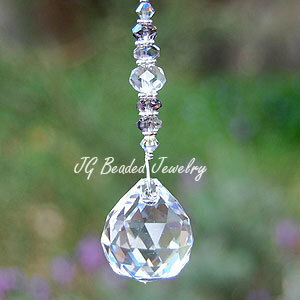 ♥ Swarovski is known worldwide for flawless and precision cut crystals – they are stunning and the best of the best! 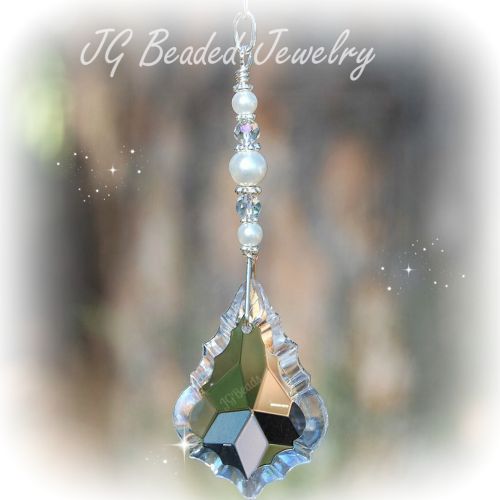 ♥ If you’d like more than the quantity available, prefer alternate colored Swarovski crystals, please contact us with your request before placing an order and we can go from there.